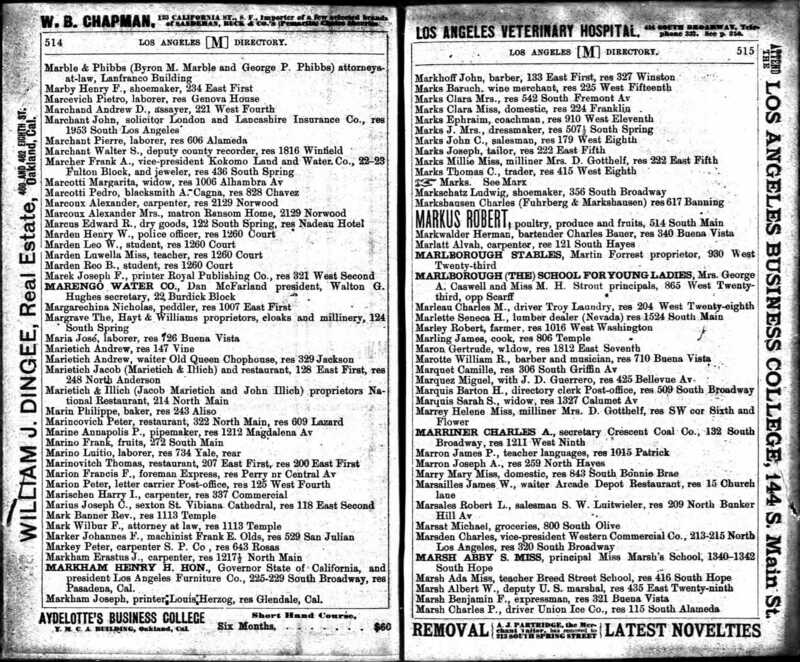 Source: 1893 Los Angeles City Directory. Marinovich, Marietich. p 514. Notes for this connection: Two Andrew Marietich. Don't know which is which—father, son. This one is a waiter at Queen Chop House.